It's never easy when your worst fears are realized about a beloved TV character, and that's exactly what happened with NCIS: Los Angeles' Hidoko (Andrea Bordeaux) in last night's Season 10 premiere. Bordeaux took on the role of Special Agent Harley Hidoko in Season 9, and she quickly fit in with the rest of the crew. Unfortunately, tragedy struck in Mexico before Callen (Chris O'Donnell), Sam (LL Cool J), Deeks (Eric Christian Olsen), and Kensi (Daniela Ruah) arrived with the same intent — to save Mosley's (Nia Long) son. "Thank you all for the love and support. It means the world to me. 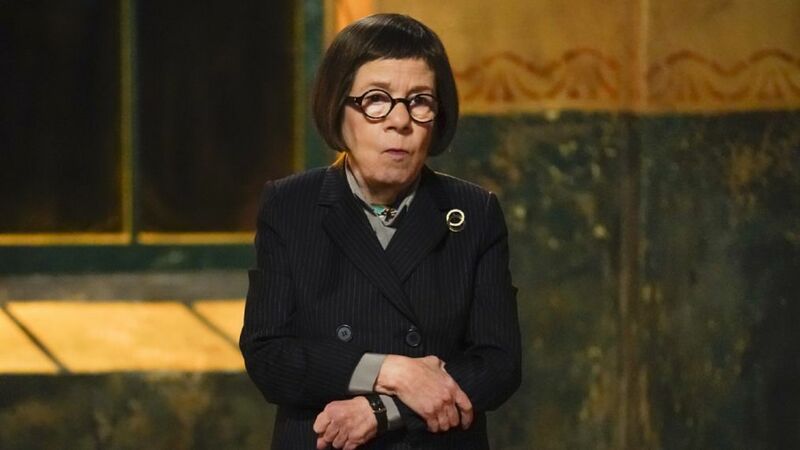 I'm gonna miss her so much. I'm so proud to have been a part of the #NCISLA team. Congrats to the cast and crew on what I'm sure is going to be an amazing 10th season. You all deserve it and many more! #HarleyHidoko #BlackGirlMagic"
It was rumored that Bordeaux would make her exit following Hidoko's trip to Mexico, as the actress posted a similarly-toned statement on the social media platform in the spring. The character's death was tough for viewers to take, as in the one season Hidoko appeared, she quickly gained a fan base. Ultimately, we should have seen her fate coming from a mile away after reading her initial post. What seemed to be an appreciation post then, now takes on a greater meaning. "Tonight is the season 9 finale of @ncisla and I just wanted to take a moment to say how grateful, humbled and honored I've been to be a part of this show," Bordeaux wrote at the time. "Thank you so much to the amazing cast and #thebestcrewinhollywood. Thank you to every director. Thank you to the service men and women who work in various positions on the show, whether as background or as our tactical experts. You make me proud to play a Marine," she continued. "Thank you to the producers for giving me my big break. Thank you @cbstv. Thank you to all of the fans who have been so kind and supportive." And while one chapter may be closing in NCIS: LA, another is reopening as Kensi and Deeks made up in last night's ep. Last we saw the fan favorite couple, their engagement and relationship hung in the balance when they didn't see eye-to-eye about their career paths. After their ordeal in the Mexican desert, Deeks apologized for having a closed mind about Kensi continuing her career with NCIS, and then (eek!) popped the big question! Looks like we're officially getting a Kensi-Deeks wedding this season!